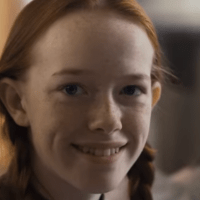 (Tess Farrand – MovieGuide) The Netflix Original series ANNE WITH AN E follows the beloved orphan character Anne, from Lucy Maude Montgomery’s novel, Anne of Green Gables. The second season of the show was released in early July 2018, and one episode has many viewers ditching the show because of surprising LGBT content in what should be a fairly broad audience TV series. In the show, Aunt Josephine’s sadness comes about due to the loss of her unspoken “romantic” partner Gertrude. A change of character that has less to do with staying true to the period and more to do with being politically correct.